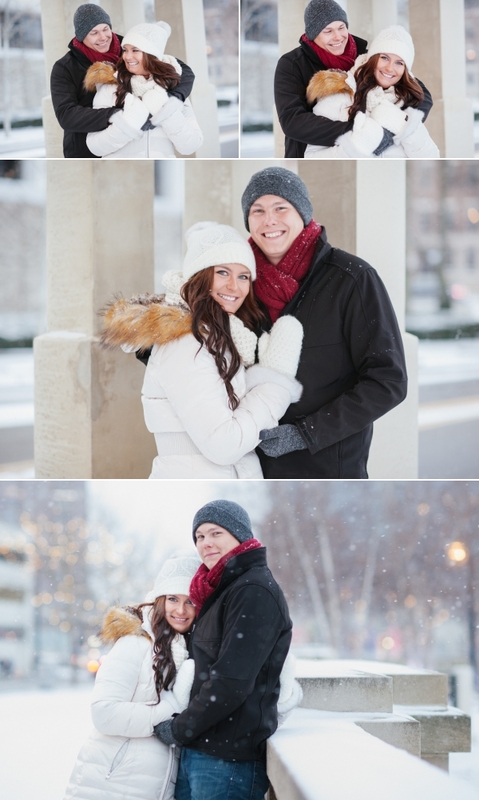 I wanted to sneak this blog in around the holidays because it is pure glistening eye candy!! This shoot was from early January 2017 but by the time I caught up with my blogging, it was early spring and posting a winter shoot just didn’t make sense. 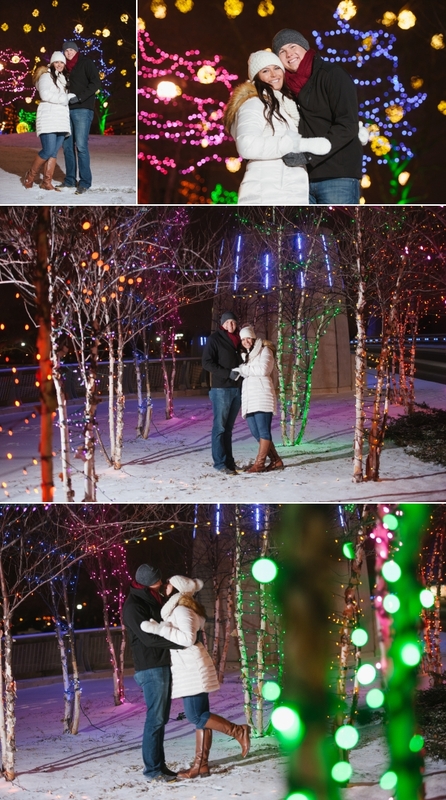 I’ve quietly waited all year to unveil this enchanting day to evening shoot. To say I’m excited to post these today is an understatement. Tanya and Chris were actually married but never had a large ceremony or photo session because Chris was deployed shortly after they tied the knot. 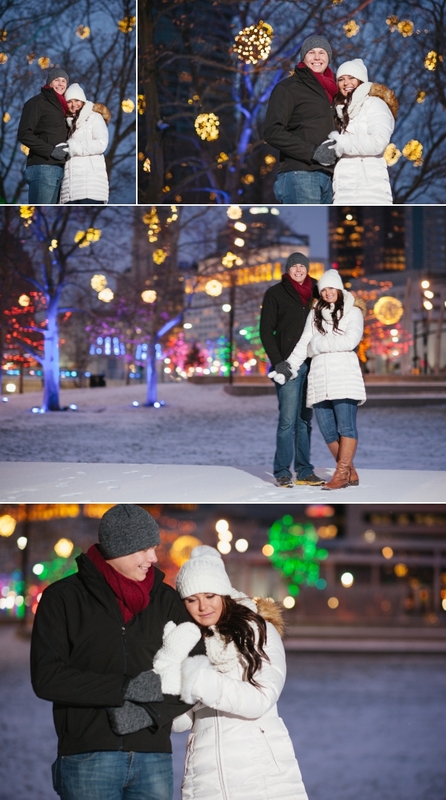 Chris surprised Tanya with the photo shoot as a Christmas gift and we met up downtown at the Scioto Mile on one of the snowiest days of last year. I remember driving there squinting through the snowy windshield, thinking wow this is going to be interesting. But it was actually perfect, romantic and magical!! Except for at the very end of the shoot when we were walking back to the car and I totally fell in front of them on a patch of ice. Super embarrassing! I had a nice bruise as a souvenir from the night- but even more importantly, fantastic memories and a shoot that I would do again in a heartbeat.